This month, The Essentials Report, has curated & analyzed the content published by 138 influencers like John Macilree and Sustainable Cities, discussing hashtags such as #transport , #CO2 and #trucks. 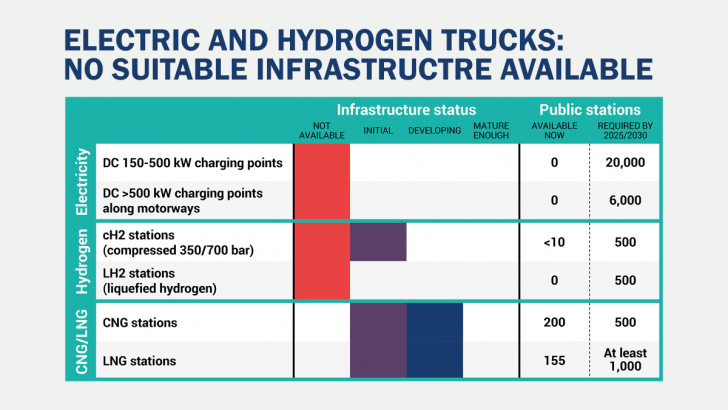 Brussels, 17 January 2019 – The European Automobile Manufacturers’ Association (ACEA) has published data on the severe lack of recharging and refuelling infrastructure suitable for electric and other alternatively-powered trucks across the EU. San Diego has an untapped 500 megawatt solar potential at commercial sites within the city, with parking lots representing three-quarters of the total, according to a new survey by the Clean Coalition. The county's new zoning allows for higher density residential construction along six transit corridors. An index of the top global cities by real estate firm Savills found New York ranks highly due to its available investment capital and a large workforce.